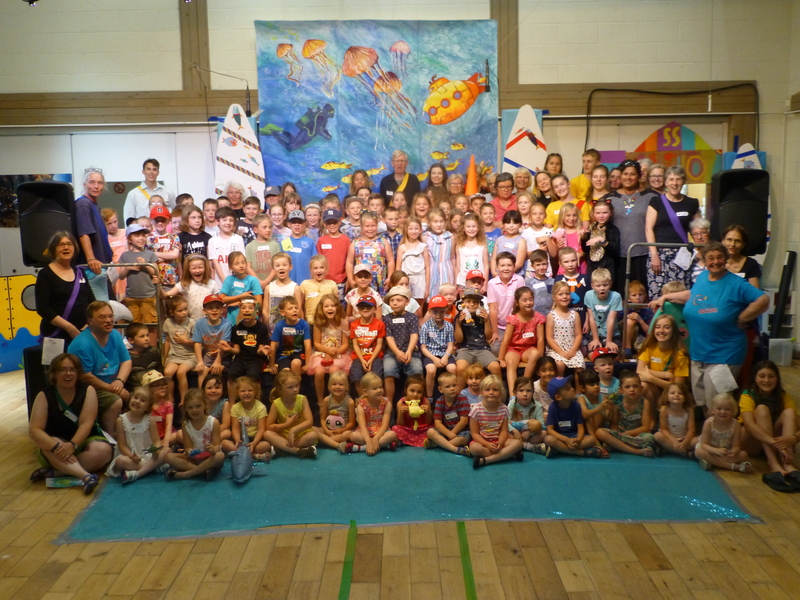 St George's Newbury » Blog Archive » Encountering the DEEP at Holiday Club! Encountering the DEEP at Holiday Club! If you somehow managed to miss the fun and games last week at St George’s Holiday Club, here are a few pictures from their deep sea adventures. 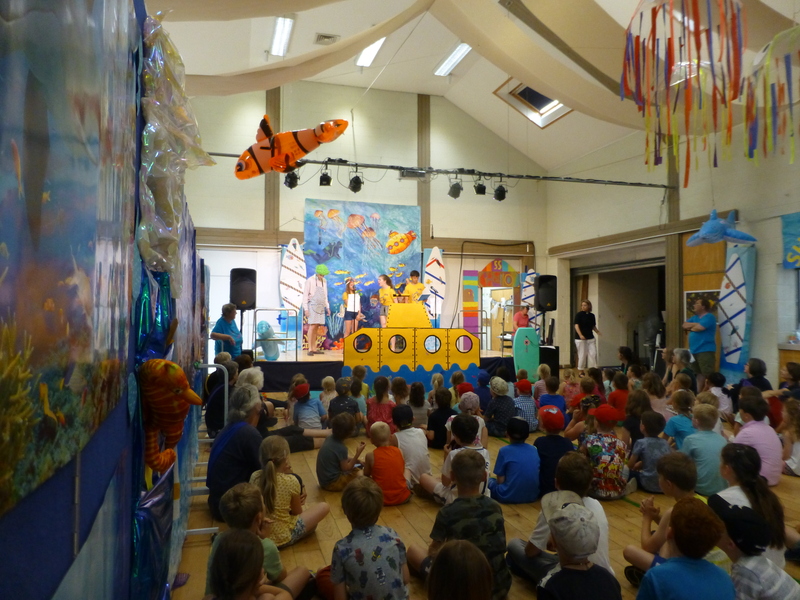 For one week only the whole church site was transformed into an ocean – complete with giant yellow submarine, a family of inflatable killer whales and a clown fish – into which a team of leaders and over a hundred local children plunged for a week of full-on entertainment. 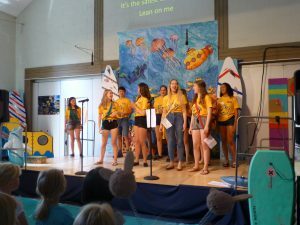 The Youth Group, Justacross, took the lead in the drama as the questioning ‘What?‘ family, and the children were treated to a host of fab deep-sea themed crafts, games, songs and activities. 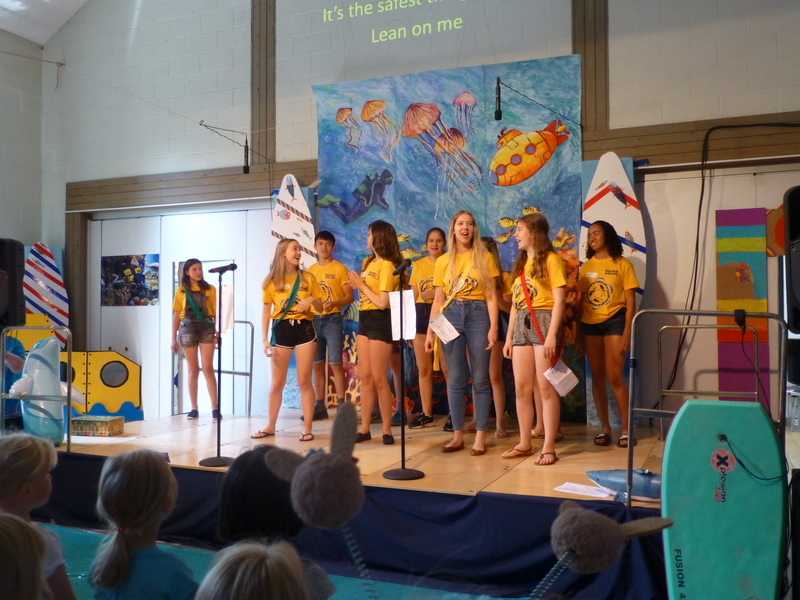 If you are around tomorrow morning, don’t forget to come along to the Holiday Club Service, at 10.30am in the hall, and hear direct from the (sea)horses mouths what they have been up to. This is a Gravatar-enabled blog. To get your own globally-recognized-avatar, please register at Gravatar. Debbie Dumelow on Why not consider hiring St George’s? Admin on Wash Common’s Community Carol Concert at St George’s – book your ticket now! Carol Melville on Wash Common’s Community Carol Concert at St George’s – book your ticket now! Why not consider hiring St George's?